In October Mall Galleries Art Consultancy held it's first in a series of events about commissioning art. Each event invites artists and Mall Galleries commissions consultants to talk about different stories of commissions they have undertaken or overseen. The talks focus around a different theme every time and as we kicked off the series during the Royal Society of Marine Artists Annual Exhibition 2015, 'Maritime' was chosen as a talking point. Watch the videos below to hear Geoff Hunt PPRSMA talking about painting a famous American clipper for the American Club in Hong Kong, Dolores de Sade show her work on ecologist Alexander von Humboldt's discovery of penguins on the Chilean coast and Jeff Stultiens RP discuss painting Navy and lifeguard portraits. 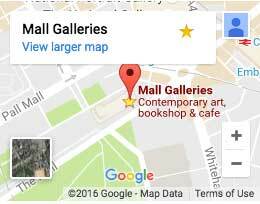 If you are looking to commission artwork yourself, get in touch with Mall Galleries commissions team so that we can find the right artist for you. An artwork commission is a personalised experience that is different for everyone, at Mall Galleries we employ Commission Consultants to guide you through the process of commissioning an artwork from choosing an artist to choosing an artwork that is suitable for your home or business. If you would like to find out more information regarding commissioning an artwork or book a private consultation, click here. Submitted 3 years 2 months ago by Sasha Enticknap.